If there’s one thing cuter than a new baby, it’s a new baby wearing something made of yarn! Just ask Melody Rogers. Over the past few years, she’s cornered the market in knits for babies. Of course, it doesn’t hurt that she’s a newborn photographer with an endless supply of adorable models! Melody’s latest design is the oh-so-sweet Strawberry Shorts Set made with Berroco Comfort Chunky available as a knitting or crochet pattern! Either way, it’s a great project for beginners that works up quickly because of the thicker yarn! Tell us how you came up with this design? Last summer, I found a hat box with a strawberry design all over it that I knew would be perfect for newborn photos. I never could seem to get the right inspiration for a matching outfit, though. This year as I was going through all my summer props, I picked it back up and just knew I had to make a Strawberry Shorts Set…kind of like Strawberry Short Cake! Doing both a knit and crochet version is always fun – I love laying the two finished pieces next to each other and picking out what I like more about each one. I always find myself wishing there was a great way to combine the two and take the best of each. I have a really hard time choosing a favorite project. One that does stand out to me, though, is my Boho Baby Hat and Pants Set. I love working with thin yarn on huge needles or hooks! I’ve always been a fan of those lacey looking projects. When I first started knitting, I had no idea that patterns even existed (which may be why I got into the designing mode). I set out to make my new nephew a baby blanket with very little knowledge and no pattern. I ended up with something that looked like a table runner with very large holes in it where I had dropped stitches. I still gave it to my nephew though I think my in-laws thought I was totally crazy to be handing them this ratty table runner as a blanket for their new baby! My favorite thing about knitting is that feeling of accomplishment you get after finishing a project. That’s probably why I focus on baby and children designs…they go so much faster. It is so fun to have a vision and be able to see it through on my knitting needles. I was never a very creative, or artsy person growing up, so I feel like knitting has opened a whole new world of creativity for me. 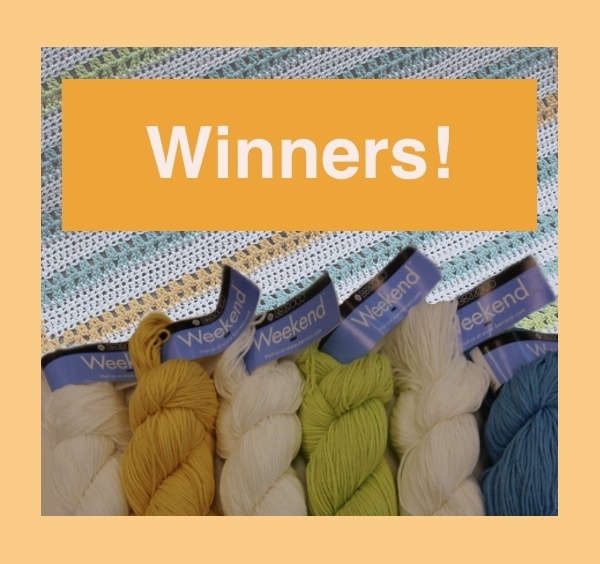 So many of you fell in love with Dori Kershner’s Cabana Blanket last week…now three of you will get to crochet one of your own! Congratulations to Leda, Renee Zinck & Christine H. Please contact me (apalumbo@berroco.com) within the next week to claim your prize! This is so incredibly precious I just made an odd squeaking sound at my computer at work. Haha, I did something similar when I first saw Melody’s designs. They are too cute! Adorable…I would love to make one for the babies we photograph at our studio. Glad you like it, Diana!